Sometimes God seems providentially to put a certain book into your hands for you to read. That happened to me with To the Golden Shore. I first saw it on a missions reading list provided by the OPC‘s Committee on Foreign Missions (a committee to which I was recently elected to serve). Not long after that, a friend visiting from out of state (who serves on his own church’s missions committee) praised the book and said I should read it. Finally, another friend, unconnected to the first two, gave me a copy since he had accidentally bought two. So I thought I’d better read this book! I just finished it a few days ago and though this little story on how I came to read it sounds like it should end with my leaving home to take the gospel to faraway lands, the book’s impact on me was not so dramatic but meaningful nonetheless. 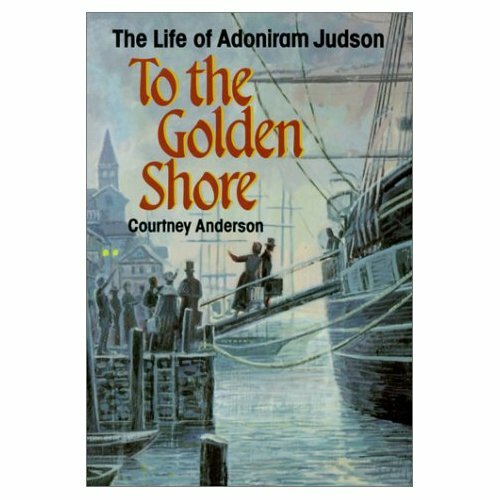 It’s humbling to read the story of a Christian like Adoniram Judson (I think the phrase “larger than life” was coined for people like him). As a young man in early 19th-century New England, the Lord give him a deep desire (that wouldn’t be denied no matter how much others tried to dissuade him) to serve as a missionary to the people of Burma. What follows is an account of suffering, deprivation, opposition, imprisonment, sickness, the death of loved ones, and, at least at first, precious little fruit to show for it all. Yet by faith Judson persevered and through his labors the gospel was introduced to the Golden Kingdom. It is humbling to read of a man this committed to serving Christ, and to endure so much pain and grief for the sake of bringing eternal life to lost souls. If I only I had a little more of that same heart for Christ! I recommend this book highly for your encouragement as a Christian.